On May 11 (today) in 2009, I started full time at Automattic. I’ve written about my experiences over the years, and marked the occasion each year in some small way. Let’s continue the tradition. This year has actually been a particularly big year. Probably the headliner happened only a week ago; Automattic raised $160 million, on a valuation of $1 billion. That’s a lot of money. That’s a large valuation, and it feels kind of weird to be employee #35 of a company of that scale. We’re now at 247 employees, and we span 30 different countries. Whoah. Other than that, this year we: had a pretty large secondary fund-raising ($75m, via Tiger Capital), made some exciting acquisitions: Cloudup, Scrollkit, Longreads, had another successful WordCamp San Francisco (where I spoke, and organized the Contributor Day again), launched WordPress.com Connect, transitioned to a new CEO (Matt Mullenweg, our founder), and a bunch of other interesting things both internally and externally. In my sixth year as an Automattician, I’ll be relocating to Denver (my second relocation since I started, capitalizing on working for a completely distributed company). I look forward to new adventures there, and continued adventures with Automattic. It continues to be an inspiring and challenging company to work for, full of interesting and impressively-smart people. 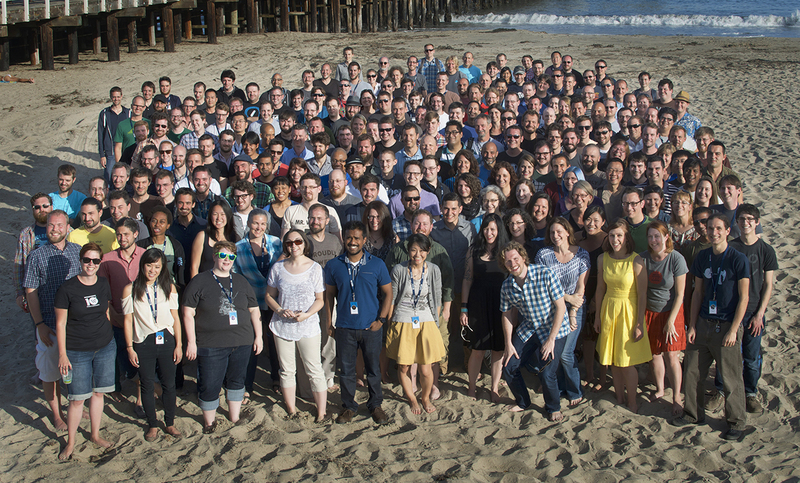 Thanks everyone for continuing to make Automattic home, it’s the best job I’ve ever had, and it would be hard to ever top. : Argentina, Australia, Austria, Brazil, Bulgaria, Canada, Denmark, Finland, France, Hungary, Iceland, India, Ireland, Israel, Italy, Japan, Lithuania, Luxembourg, Malta, Portugal, Russia, Scotland, South Africa, Spain, Sri Lanka, Sweden, Switzerland, United Kingdom, United States, Uruguay. I just realized that I never posted anything about speaking at WordCamp San Francisco. This was my 8th WordCamp SF (I’ve been to every one since the first, in 2006), and the second one at which I have spoken. Matt invited me to give a short introduction to the work we’re doing with o2, which is the next generation of P2. It’s not available for external (non-Automattic) use yet, so I had to settle for a relatively surface introduction, and couldn’t give people a link to download it or anything which was a bit of a pity, but it still got a good reception. And here are the slides I used, which you can also see on Slideshare.net. We’re really excited to get o2 out into other people’s hands, but we’ve got a lot to build still before other people can experience it in a similar way to how we do at Automattic. The future is bright.